Ocean Reef Towers is a luxury condominium community featuring just 55 units in a stunning boutique building. 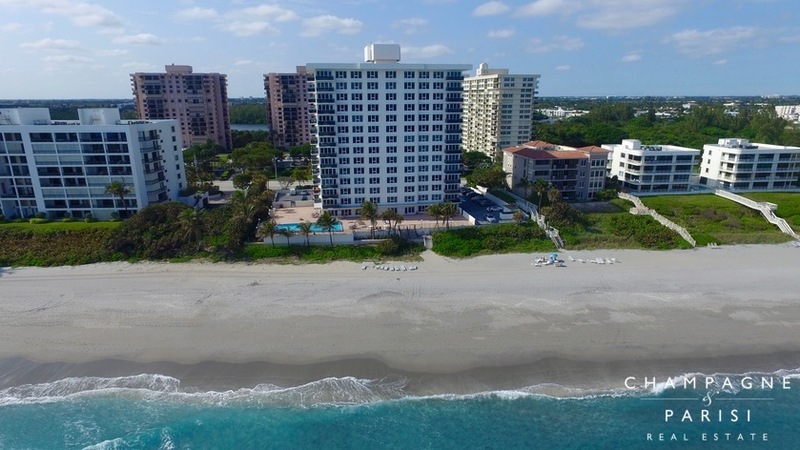 Situated along the water in East Boca Raton, Ocean Reef Towers' perfect location offers breathtaking views of the Atlantic Ocean and easy access to the most popular area attractions. Originally built in 1970, Ocean Reef Towers has undergone significant renovations throughout the building, and many of the units have been completely remodeled to include modern features and the most exquisite finishings. Condos for sale in Ocean Reef Towers feature spacious floor plans, with two bedrooms and two bathrooms, offering over 1,800 square feet of luxurious living space. Other luxury features include tile or wood flooring, modern kitchens with newer appliances, granite countertops, and wood cabinets, remodeled bathrooms, walk-in closets, and spacious open balconies offering stunning ocean views. Ocean Reef Towers is located directly on the Atlantic Ocean in the heart of Boca Raton. Residents enjoy the convenience of being close to some of the areas most popular attractions, including golf courses, beautiful parks, a host of gourmet restaurants, fine retail establishments, and a variety of entertainment options. If Ocean Reef Towers sounds like the perfect oceanfront retreat, you may also want to visit nearby oceanfront condominiums including Brighton and Admirals Walk, both of which also offer luxurious beachfront living in Boca Raton. If you would like to learn more about condos for sale in Ocean Reef Towers or any of the surrounding waterfront condominium communities in Boca Raton, please call us at 561-998-9015. You may also contact us by completing the simple online contact form provided below and one of our expert agents will reach out to assist you. We at Champagne & Parisi Real Estate look forward to helping make your dream of owning a Boca Raton condo a reality!